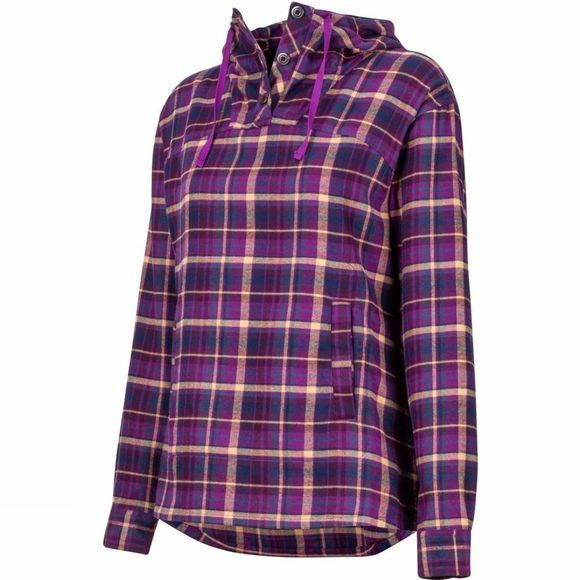 Add this Womens Shelley Midweight Flannel LS Shirt from Marmot over your base layer for all-day comfort on your next adventure. 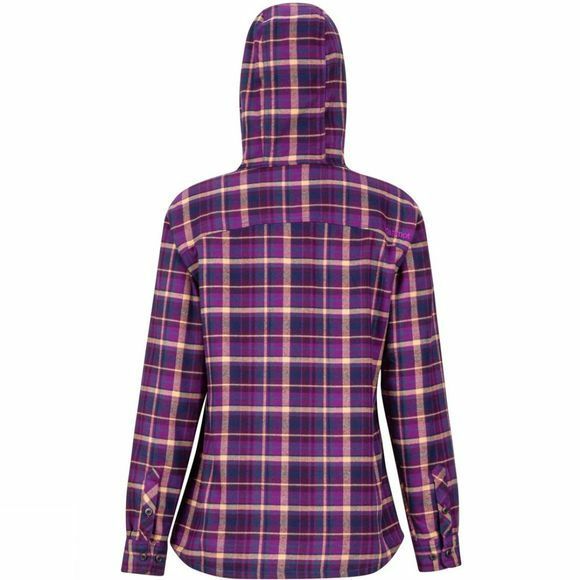 Made from recycled Marmot Upcycle Product, this Bluesign approved long-sleeve hoody is made with moisture-wicking Coolmax EcoMade technology. The UPF 50-rated fabric dries quickly, providing protection from moisture and the sun.